Ospreys fly over my office sporadically but they have been starting to get quite regular. 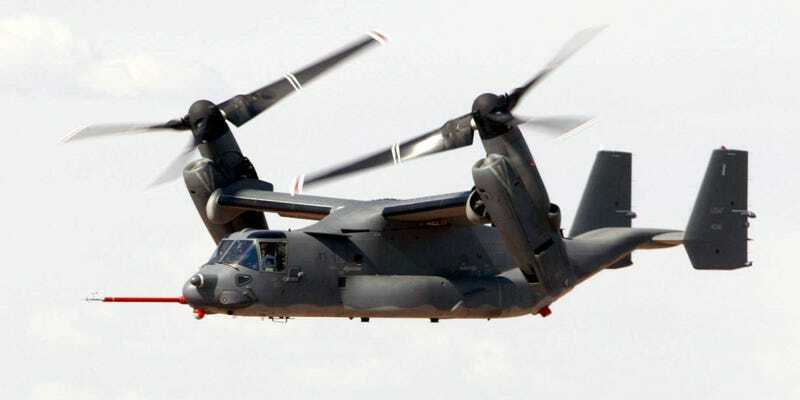 There used to be one V-22 about once a month. Last week we had one almost every day, and two on Friday. Today we had 5 in the last 30 minutes. They are multiplying, I tell you!